On March 1, 2018, An Act to amend the Holidays Act (Remembrance Day) (Bill C-311) received royal assent to recognize Remembrance Day (November 11) as a national legal holiday. The Act is law but not yet in force and requires proclamation. 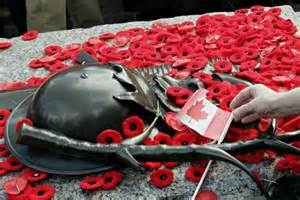 Bill C-311, An Act to amend the Holidays Act (Remembrance Day) changes the wording and status of Remembrance Day in the federal Holidays Act by making it a legal holiday, like Canada Day and Victoria Day. At present, provinces and territories determine which days are public holidays. Remembrance Day is recognized as a statutory holiday for federally regulated workers under the Canada Labour Code. In Alberta, British Columbia, New Brunswick, Newfoundland and Labrador, Northwest Territories, Nunavut, Prince Edward Island, Saskatchewan and Yukon, Remembrance Day is a statutory holiday under their respective employment/labour standards law. The legislation now passed, will force provinces and territories that don’t recognize November 11 as a statutory holiday to revisit their own employment/labour standards legislation. Remembrance Day is not a statutory holiday in Quebec, as well.